Prof. Dr. Harald Peters was appointed to the Executive Board of the BFI on 1.1.2017 as the Technical and Scientific Manager. He has been with the BFI since 1991, serving in various positions, and became a member of the extended management board in 2006. At the European level, Prof. Peters heads the ESTEP working group “Integrated Intelligent Manufacturing (I2M) (corresponds to Industry 4.0)”, is a member of the ESTEP Support Group and regularly acts as a consultant for the EU and the RFCS, providing expert opinions mainly in the areas of automation and information technology in the steel industry. 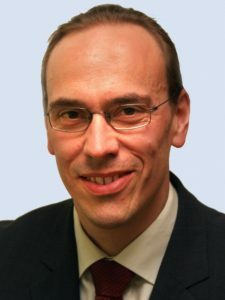 Besides his work at the BFI, Prof. Peters holds an honorary professorship at the RWTH Aachen University in process control technology, where he lectures on the use of “Data Mining techniques in technical processes”. Dr. Thorsten Voß was appointed to the Executive Board on 01.07.2017 as the Administrative and Commercial Manager. Dr. Voß studied agricultural sciences at the University of Bonn. He gained a doctorate in the course of an industrial cooperation project at the Forschungszentrum Jülich research centre on the degradation behaviour of plant protection products in aquifers. After working on post-doctoral assignments at Forschungszentrum Jülich, he transferred to the centre’s knowledge management team where he initially held the position of personal assistant to the management board chairman, later becoming head of the management board office. In this capacity he was in charge of committees, international affairs and knowledge and information management until his appointment as authorised officer when he became head of the Third-Party and Technology Transfer division. Mr. Tilo Reichardt, an engineering graduate, has been head of technical sales at the BFI since 2017. 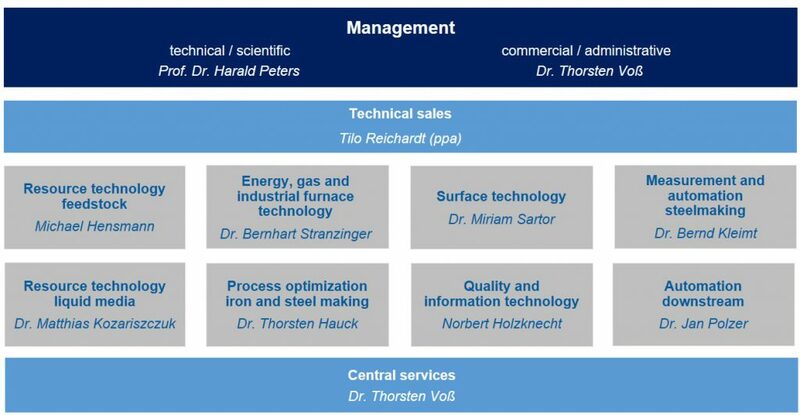 In 2013 he became manager of the Process Technology division with its 4 specialist departments. Since 2008 he had headed several different departments at the BFI focusing mainly on surface finishing, forming, tribology and plant and equipment technology. At the European level, he has been a member of the Profit working group at ESTEP since 2015 and in 2016 was appointed technical expert in TGS 4 – Hot and Cold Rolling – of the Research Fund for Coal and Steel. In addition, he is a personal member of DGM, 3A and AIKW.